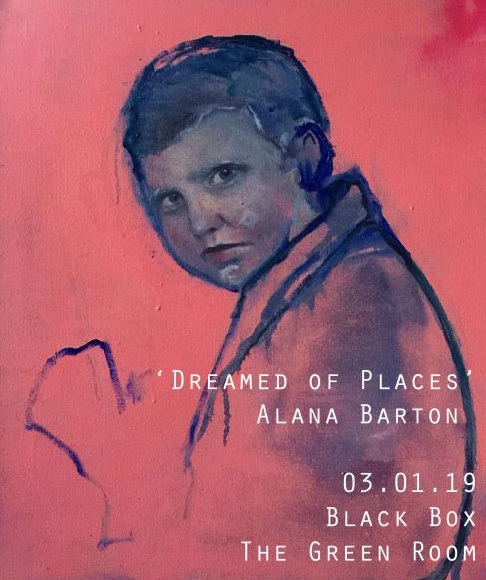 Dreamed of Places is a series of paintings by Alana Barton. The works feature both figurative and abstract elements that explore the use of colour to convey ideas of dream like states and alternative realities. Taking inspiration from cults, alternative cultures and consciousness; sourcing from old photographic material, primarily based on young people integrated with organic forms.